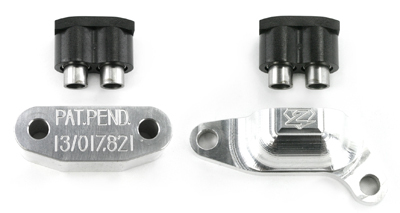 The new Red Shift® Cam Chain Tensioners are a must-have for all 2007-up Twin Cam® performance applications. Red Shift® Cam Chain Tensioners are a direct-replacement, aftermarket product designed to improve cam timing accuracy and valve train control at two critical key areas - the drive and driven cam chains on all 2007-up engines. Why upgrade to a performance camshaft if you’re not upgrading the key valve train control parts at the same time? 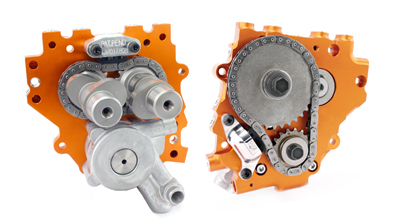 Replacing the original equipment hydraulic tensioners with this new dual hydraulicbodied design will maximize chain stability, restore critical timing events, reduce valve train noise, and improve the lifespan of valve train components; all while improving the overall performance of the engine! The revolutionary new dual-piston design is so simple and effective; it’s easy to see why it works. When the Twin Cam® engine is running, the power pulses rock the tensioner shoe back and forth. On a single piston tensioner design, the natural shoe movement causes the hydraulic piston to momentarily unseat at the base, which interrupts the pressurized oil stream and introduces air into the hydraulic tensioner. Air will diminish or eliminate the pressure that the tensioner shoe places on the cam drive chains, allowing loss of valve train control - leading to “bounced” components including valves, spring collars, rocker arms, pushrods, lifters and camshafts. 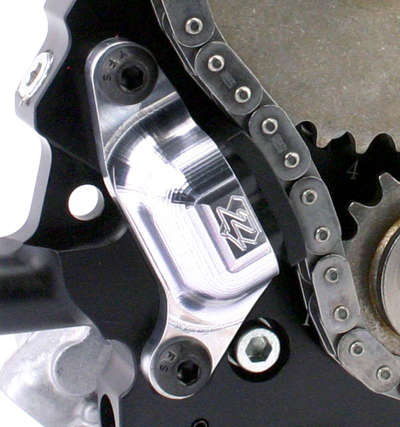 Red Shift® Cam Chain Tensioners are designed with shoe and hydraulic stability in mind, eliminating harmful air leaks in the cam chain tensioning system while dramatically improving overall valve train ontrol and durability. 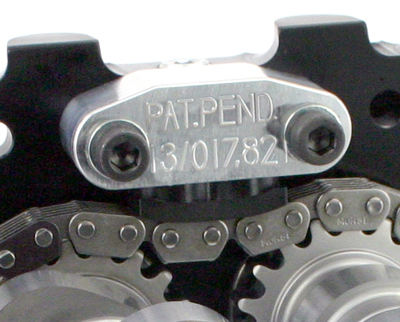 Red Shift® Cam Chain Tensioners are the finest tensioners on the market, engineered with superior manufacturing and design. Red Shift® Cam Chain Tensioners are manufactured in the U.S.A., from high-quality billet aluminum,premium wear-resistant plastic and automotive grade hydraulic tensioning bodies. These tensioners are manufactured to extremely close tolerances to ensure maximum valve train control and engine performance.